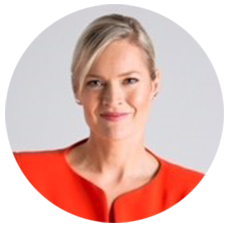 So thrilled to see our latest Ambassador for good, psychologist and business coach Naomi Arnold making the news for her upcoming event. 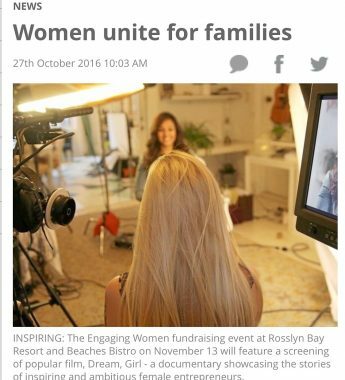 She has joined forces with Capricorn coast networking group Busi women to raise money and awareness for local charity Strengthening Family Connections. Guest are in for a treat: with a screening of the Dream, Girl film, a documentary showcasing the stories of female entrepreneurs. Arnold has brought a fantastic determination to make her event a success, raising the profile of the Dream, Girl film along the way. “Given the Dream, Girl message and the wonderful work that Busi Women does for local business women, I was excited about the possibility of bringing this documentary to women and girls on the Capricorn Coast,” Arnold told the Morning Bulletin. If you are in this beautiful part of the world, Yeppoon this Sunday, buy tickets here for a 2.45pm showing. Guests will also hear from local businesswoman Karla McPhail from Coal Train who will speak about using your business for a social good and women in leadership. “We are blessed to have some incredible sponsors on board. International best-selling authors and coaches Megan Dalla-Camina and Michelle McQuaid have even donated their Lead Like a Woman program and book, worth over $600 to be awarded to a lucky attendee,” Naomi told the Bulletin. Thanks so much to Rockhampton’s Morning Bulletin. Read the full story here. Find out how you or a friend, your colleagues can apply to become Ambassadors For Good here. Naomi’s chosen charity Strengthening Family Connections offers free family and individual counselling, parenting support and works in partnership with vulnerable families with children from birth to eighteen-years-old. Want to hear from some more change-makers? Head over to our interviews library. Engaging Women has been invited to attend the Telstra Women in Business 2016 awards in Melbourne next week, can’t wait to bring you the winners, colour and inspiration from the night. Subscribe to hear more. Posted in Ambassador for Good, Elevate your voice.